Confucius Institute (Chinese: 孔子学院; pinyin: Kǒngzǐ Xuéyuàn) is a non-profit public educational organization affiliated with the Ministry of Education of the People's Republic of China, whose stated aim is to promote Chinese language and culture, support local Chinese teaching internationally, and facilitate cultural exchanges. The organization has been criticized due to concerns of rising Chinese influences in the countries in which it operates. The Confucius Institute program began in 2004 and is overseen by Hanban (officially the Office of Chinese Language Council International). The institutes operate in co-operation with local affiliate colleges and universities around the world, and financing is shared between Hanban and the host institutions. The related Confucius Classroom program partners with local secondary schools or school districts to provide teachers and instructional materials. China has compared Confucius Institutes to language and culture promotion organizations such as Portugal's Instituto Camões, Brazil's Centro Cultural Brasileiro, Britain's British Council, France's Alliance Française, Italy's Società Dante Alighieri, Spain's Instituto Cervantes and Germany's Goethe-Institut. However, unlike these organizations, many Confucius Institutes operate directly on university campuses, thus giving rise to unique concerns related to academic freedom and political influence. The first Confucius Institute (CI) opened on 21 November 2004 in Seoul, South Korea, after establishing a pilot institute in Tashkent, Uzbekistan in June 2004. The CI in South Korea is no longer active. The second Confucius Institute was opened on the campus of the University of Maryland, College Park, also in November 2004. Hundreds more have opened since in dozens of countries around the world, with the highest concentration of Institutes in the United States, Japan, and South Korea. In April 2007, the first research-based Confucius Institute opened in Waseda University in Japan. In partnership with Peking University, the program promotes research activities of graduate students studying Chinese. As of 2014, there were over 480 Confucius Institutes in dozens of countries on six continents. The Ministry of Education estimates that 100 million people overseas may be learning Chinese by 2010 and the program is expanding rapidly in order to keep up. Hanban aims to establish 1,000 Confucius Institutes by 2020. The Confucius Institute is named after the noted Chinese philosopher Confucius (551–479 BC). Throughout the 20th century, Communist Party of China (CPC) leaders criticized and denounced Confucius as the personification of China's "feudal" traditions, with anti-Confucianism ranging from the 1912 New Culture Movement to the 1973 Criticize Lin, Criticize Confucius campaign during the Cultural Revolution. However, in recent decades, interest in pre-modern Chinese culture has grown in the country, and Confucius in particular has seen a resurgence in popularity. Outside of China, Confucius is a generally recognizable symbol of Chinese culture, removed from the negative associations of other prominent Chinese figures such as chairman Mao Zedong. "Confucius Institute" is a trademarked brand name, which according to a spokesman for the organisation, "Those who enjoy more brand names will enjoy higher popularity, reputation, more social influence, and will therefore be able to generate more support from local communities." 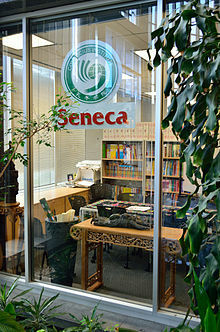 A 2011 crackdown protected "Confucius Institute" from preregistration infringement in Costa Rica. A China Post article reported in 2014 that "Certainly, China would have made little headway if it had named these Mao Institutes, or even Deng Xiaoping Institutes. But by borrowing the name Confucius, it created a brand that was instantly recognized as a symbol of Chinese culture, radically different from the image of the Communist Party." Kerry Brown, Professor of Chinese Politics at the University of Sydney, notes the irony that the CPC now lionizing Confucius had vilified him just four decades previously for his association with patriarchal, hierarchical, and conservative values. British Foreign Secretary William Hague and Li Changchun at a signing ceremony in London, 17 April 2012, for the agreement between Confucius Institute of China and Bangor University on the establishment of Confucius Institute at Bangor University, United Kingdom. The agreement was signed by John Hughes, Vice-Chancellor of Bangor University, and Xu Lin, Director of the Confucius Institute. Confucius Institutes (CIs) promote and teach Chinese culture and language around the world. CIs develop Chinese language courses, train teachers, hold the HSK Examination (Chinese proficiency test), host cultural and artistic presentations, and provide information about contemporary China. The director of the CI program, Xu Lin, stated that CIs were started to cater to the sudden uptick in interest of the Chinese language around the world. They also provide Chinese language teaching staff from Mainland China. As of 2011, there were 200 such teachers working in the United States. Confucius Institute also has non-academic goals. Li Changchun, the 5th-highest-ranking member of the Politburo Standing Committee, was quoted in The Economist saying that the Confucius Institutes were "an important part of China's overseas propaganda set-up". The statement has been seized upon by critics as evidence of a politicized mission. Many foreign scholars have characterized the CI program as an exercise in soft power, expanding China's economic, cultural, and diplomatic reach through the promotion of Chinese language and culture, while others have suggested a possible role in intelligence collection. The soft power goals also include assuaging concerns of a "China threat" in the context of the country's increasingly powerful economy and military. While Chinese authorities have been cautious not to have CIs act as direct promoters of the party's political viewpoints, a few suggest that the Confucius Institutes function in this way. Officials say that one important goal of the Institutes is to influence other countries' view of China. Peng Ming-min, a Taiwan independence activist and politician, claims that colleges and universities where a Confucius Institute is established have to sign a contract in which they declare their support for Beijing's "One China" policy. As a result, both Taiwan and Tibet become taboo at the institutes. However, this claim is in dispute. Michael Nylan, professor of Chinese history at the University of California at Berkeley, stated that CIs have become less heavy-handed in their demands, and have learnt from "early missteps", such as insisting that universities adopt a policy that Taiwan is part of China. Nylan's survey of faculty and administrators at fifteen universities with Confucius Institutes revealed two reports that institutes had exerted pressure to block guest speakers, but both events went ahead anyway. The CI's soft power goals are seen as an attempt by the PRC to modernize away from Soviet influenced propaganda of the Maoist era. Other initiatives include Chinese contemporary art exhibitions, television programs, concerts by popular singers, translations of Chinese literature, and the expansion of state-run news channels such as Xinhua News Agency and China Central Television. Hanban is a non-profit government organization, though it is connected with the Ministry of Education and has close ties to a number of senior Communist Party officials. The Confucius Institute headquarters in Beijing establishes the guidelines which the separate Confucius Institutes worldwide follows. The headquarters is governed by a council with fifteen members, ten of whom are directors of overseas institutes. The Institutes themselves are individually managed under the leadership of their own board of directors, which should include members of the host institution. The current chair of the Confucius Institute Headquarters council is Liu Yandong, a Chinese vice premier and member of the Chinese Communist Party Politburo who formerly headed the United Front Work Department. Other leaders of the council are similarly drawn from the Communist Party and central government agencies, such as the Ministry of Finance, Ministry of Education, and the State Council Information Office (also known as the Office of Overseas Propaganda). The council sets the agenda for the Confucius Institutes and makes changes to the bylaws while other tasks and ongoing management of the Confucius Institute Headquarters are handled by the professional executive leadership headed by the director-general. The Chinese Government shares the burden of funding Confucius Institutes with host universities, and takes a hands-off approach to management. The Institutes function independently within the guidelines established by Hanban and the Confucius Institute Headquarters. Each Institute is responsible for drawing up and managing their own budget, which is subject to approval by the headquarters. The Confucius Institute Headquarters provides various restrictions on how their funds may be used, including earmarking funds for specific purposes. Institutes in the United States are generally provided with $100,000 annually from Hanban, with the local university required to match funding. In addition to their local partner university, Confucius Institutes operate in co-operation with a Chinese partner university. Many Institutes are governed by a board which is composed of several members from the Chinese partner school and the remaining of the members affiliated with the local partner university. At most Institutes, the director is appointed by the local partner university. The Hanban website stated that Chinese language instructors should be "aged between 22 to 60, physical and mental healthy, no record of participation in Falun Gong and other illegal organizations, and no criminal record." In many universities, the employer is the Chinese government, not the university. Human rights lawyer Clive Ansley has argued that the part of the hiring policy that discriminates against Falun Gong believers is in contravention of anti-discrimination laws and human rights codes. Marci Hamilton, Paul R. Verkuil Chair in Public Law at Yeshiva University, called this policy "unethical and illegal in the free world." In 2013, McMaster University in Canada closed its Confucius Institute due to hiring issues over Falun Gong. The curriculum of Confucius Institutes revolves around the institute's role as a language center. Confucius Institutes teach simplified Chinese characters, which are standard in Mainland China, rather than the traditional Chinese characters used in Taiwan and Hong Kong. In the short time-frame of their rapid expansion, the Institutes have been the subject of much controversy. Criticisms of the Institutes have included practical concerns about finance, academic viability, legal issues, and relations with the Chinese partner university, as well as ideological concerns about improper influence over teaching and research, industrial and military espionage, surveillance of Chinese abroad, and undermining Taiwanese influence. There has also been organized opposition to the establishment of a Confucius Institute at University of Melbourne, University of Manitoba, Stockholm University, University of Chicago and many others. More significantly, some universities that hosted Confucius Institutes decided to terminate their contracts. These include Japan's Osaka Sangyo University in 2010; Canada's McMaster University and Université de Sherbrooke, and France's University of Lyon in 2013; the University of Chicago, Pennsylvania State University, and the Toronto District School Board in 2014. and the German Stuttgart Media University and University of Hohenheim in 2015. Controversy regarding Confucius Institutes in the US, Australian, and Canadian press include criticism that unlike other governments' language and culture promotion organizations, the Confucius Institutes operate within established universities, colleges, and secondary schools around the world, providing funding, teachers and educational materials. This has raised concerns over their influence on academic freedom, the possibility of industrial espionage, and concerns that the institutes present a selective and politicized view of China as a means of advancing the country's soft power internationally. In December 2014, Stockholm University, the first university in Europe to host a Confucius Institute, announced it was terminating the program. Press coverage of the Braga incident in the Swedish press was said to have influenced the decision. "Generally it is questionable to have, within the framework of the university, institutes that are financed by another country," said the university's chancellor. Underlying such opposition is concern by professors that a Confucius Institute would interfere with academic freedom and be able to pressure the university to censor speech on topics the Communist Party of China objects to. An article in The Chronicle of Higher Education writes that there is little evidence of meddling from China although the same article did go on to say the Institutes were "distinct in the degree to which they were financed and managed by a foreign government." After interviewing China scholars, journalists and CI directors, a writer for The Diplomat also found little support for the concern that CIs would serve as propaganda vehicles, though some of her sources did note that they would face constraints in their curriculum on matters such as Tibet and human rights. An article in The New York Times quotes Arthur Waldron, a professor of international relations at the University of Pennsylvania, that the key issue is academic independence. "Once you have a Confucius Institute on campus, you have a second source of opinions and authority that is ultimately answerable to the Chinese Communist Party and which is not subject to scholarly review." In October 2013, University of Chicago professor Marshall Sahlins published an extensive investigative article criticizing the Confucius Institutes and the universities hosting them. Later, more than 100 faculty members signed a protest against the Confucius Institute at the University of Chicago. In September 2014, the University of Chicago suspended its negotiation for renewal of the agreement with Hanban. Two months later, the Canadian Association of University Teachers urged Canadian universities and colleges to end ties with the Confucius Institute. In June 2014, the American Association of University Professors issued a statement urging American universities to cease their collaboration with the Confucius Institute unless the universities can have unilateral control of the academia affairs, that the teachers in Confucius Institutes can have the same academic freedom enjoyed by other university faculty members, and that the agreements between universities and Confucius Institutes are available to the community. The AAUP statement was widely noticed by US media and prompted extensive further debate in the US. Two months later, in August 2014, Xu Lin, Director-General of the Hanban and Chief Executive of the CIs worldwide, became embroiled in an incident in Braga, Portugal, when Xu ordered her staff to rip pages referring to Taiwanese academic institutions from the published program for the European Association for Chinese Studies conference in Braga, claiming the materials were "contrary to Chinese regulations". The Wall Street Journal described Xu's attempted censorship as the "bullying approach to academic freedom". In September 2014, the University of Chicago closed their CI after pressure from faculty members, blaming Xu's comments that her threatening letter and phone call forced the university to continue hosting the institute. The Business Spectator concludes that the Xu Lin's hardline behavior highlights one of the biggest problems for Beijing's charm offensive. "It still relies on officials like Xu, who still think and act like party ideologues who like to assert their authority and bully people into submission." Less than a week later, Pennsylvania State University also cut ties with the Confucius Institute after coming to the conclusion that "its objectives were not in line with the Institute's". In December of that same year, the United States House Foreign Affairs Subcommittee on Africa, Global Health, Global Human Rights and International Organizations held a hearing entitled "Is Academic Freedom Threatened by China's Influence on U.S. Universities?". Chairman Chris Smith said, "U.S. colleges and universities should not be outsourcing academic control, faculty and student oversight or curriculum to a foreign government", and called for a GAO study into agreements between American universities and China. On 5 December 2014, PRC Ministry of Foreign Affairs spokeswoman Hua Chunying denied the House testimony and said "We have assisted with supplying teachers and textbooks at the request of the U.S. side but have never interfered with academic freedom." ^ a b c d e Sahlins, Marshall (29 October 2013). "China U." The Nation. Retrieved 11 April 2014. ^ Penn, Brierley (2014-04-15). "China Business:A broader education". The New Zealand Herald. Retrieved 21 April 2014. ^ Mattis, Peter (2 August 2012). "Reexamining the Confucian Institutes". The Diplomat. Retrieved 21 April 2014. ^ A message from Confucius; New ways of projecting soft power, The Economist, 22 October 2009. ^ "Introduction to the Confucius Institutes". Archived from the original on 7 July 2011. Retrieved 2 July 2011. ^ Jianguo Chen; Chuang Wang; Jinfa Cai (2010). Teaching and learning Chinese: issues and perspectives. IAP. pp. xix. ISBN 9781617350641. ^ Justin Norrie (2011), Confucius says school's in, but don't mention democracy, The Sydney Morning Herald, 20 February 2011. ^ FAQ: When was CIM established? ^ Simon, Tay (2010). Asia Alone: The Dangerous Post-Crisis Divide from America. John Wiley and Sons. p. 42. ISBN 9780470826201. ^ "Signing of Waseda University Confucius Institute Agreement Established as the first Research Confucius Institute in collaboration with Peking University". Waseda University. Retrieved 11 July 2011. ^ "Confucius Institutes Worldwide". UCLA Confucious Institute. Retrieved 11 August 2014. ^ "Confucius Institutes Around the Globe | Confucius Institute | Nebraska". ^ China to host second Confucius Institute Conference, Xinhua, 6 December 2007. ^ Confucius Institute: promoting language, culture and friendliness Archived 21 October 2012 at the Wayback Machine, Xinhua, 2 October 2006. ^ Starr (2009), p. 68. ^ Melvin, Sheila (29 August 2007). "Yu Dan and China's Return to Confucius". The New York Times. Retrieved 2 July 2011. ^ "China's Confucius Institutes Rectification of statues". The Economist. 20 January 2011. Retrieved 2 July 2011. ^ Starr (2009), p. 69. ^ Zhou Wenting, Trademark infringement continues despite crackdown, China Daily 29 July 2011. ^ Kerry Brown, The case for eliminating Confucius from China's Confucius Institutes, South China Morning Post, 2 June 2014. ^ "About Us". Confucius Institute. Archived from the original on 11 August 2011. Retrieved 3 July 2011. ^ Linda Tsung; Ken Cruickshank (2011). Teaching and Learning Chinese in Global Contexts. Continuum International Publishing Group. p. 151. ISBN 9781441100399. ^ Peter Schmidt (2010b), At U.S. Colleges, Chinese-Financed Centers Prompt Worries About Academic Freedom, The Chronicle of Higher Education, 17 September 2010. ^ Jae Park(2013),Cultural artifact, ideology export or soft power? Confucius Institute in Peru, International Studies in Sociology of Education, 23(1), 1–16. ^ a b Janet Steffenhagen, 'Has BCIT sold out to Chinese propaganda?' Archived 22 August 2012 at the Wayback Machine, The Vancouver Sun, 2 April 2008. ^ French, Howard W. (11 January 2006). "Another Chinese Export is All the Rage: China's Language". The New York Times. Retrieved 3 July 2011. ^ a b The Economist, China’s Confucius Institutes: Rectification of statues, "Asia Banyan", 20 January 2011. ^ Peng Ming-min 彭明敏 (2011), China picks pockets of academics worldwide, Taipei Times Tue, 31 May 2011, p. 8. ^ Brady, Anne-Marie (2011). China's Thought Management. London & New York: Routledge. p. 81. ISBN 978-0415616737. ^ James F. Paradise (2009), China and International Harmony: The Role of Confucius Institutes in Bolstering Beijing's Soft Power, Asian Survey 49.4: 648–649. ^ Sun Shangwu; Zhao Huanxin; Tang Yue (13 September 2013). "Hanban offers a wider choice". China Daily. ...Hanban, the nonprofit agency that administers Confucius Institutes worldwide. ^ "Steven Knapp Named to Council of the Confucius Institute Headquarters". 3 June 2013. Retrieved 21 April 2014. ^ "Constitution and By-Laws of the Confucius Institutes". Hanban. Retrieved 21 April 2014. ^ "VP calls for development of Confucius Institute". Xinhua News Agency. 7 December 2013. Retrieved 21 April 2014. ^ Bruce Acker (December 22, 2016). "UBCI named Confucius Institute of the Year". Retrieved November 17, 2017. ^ "COUNCIL MEMBERS OF THE CONFUCIUS INSTITUTE HEADQUARTERS IN 2011". Archived from the original on 2 June 2015. Retrieved 21 April 2014. ^ "About Us: Leadership". Hanban. Retrieved 21 April 2014. ^ "Confucius Institute Headquarters". Hanban. Retrieved 21 April 2014. ^ a b "A message from Confucius: New ways of projecting soft power". The Economist. 22 October 2009. Retrieved 3 July 2011. ^ "Regulations for the Administration of Confucius Institute Headquarters Funds". Hanban-News. Retrieved 3 July 2011. ^ a b Schimdt (2010b). ^ "Confucius Institute at Tallinn University". Tallinn University. Retrieved 3 July 2011. ^ "Board of Directors". University of Buffalo College of Arts and Sciences. Archived from the original on 26 March 2012. Retrieved 3 July 2011. "Governing and Advisory Boards". Regents of the University of Minnesota. Retrieved 3 July 2011. "Chinese language school in the world". Confucius Institute at the University of New South Wales. Retrieved 3 July 2011. ^ Hanban, ‘Overseas Volunteer Chinese Teacher Program’ Archived 10 January 2012 at WebCite. Retrieved 16 September 2011. ^ Macleans, Confucius Institutes break human rights rules:Profs working in Canada 'must have no record of Falun Gong'", 10 August 2011. ^ McMaster closing Confucius Institute over hiring issues , The Globe and Mail, 7 February 2013. ^ Don Starr (2009), Chinese Language Education in Europe: the Confucius Institutes, European Journal of Education Volume 44, Issue 1, pages 78–79. ^ Geoff Maslen (2007), Warning – be wary of Confucius institutes University World News, 2 December 2007. ^ Profs worry China preparing to spy on students, Maclean's, 27 April 2011. ^ Starr (2009), p. 6. ^ Peter Schmidt (2010a), U. of Chicago's Plans for Milton Friedman Institute Stir Outrage on the Faculty, The Chronicle of Higher Education, 1 June 2010. ^ Japanese university apologizes for calling Confucius Institute spy agency, People's Daily, 12 June 2010. ^ James Bradshaw and Colin Freeze, McMaster closing Confucius Institute over hiring issues, The Globe and Mail, 7 February 2013. ^ Caroline Alphonso and Karen Howlett, Toronto school board seeks end to China deal, The Globe and Mail, 17 July 2014. ^ Confucius Institute update, Penn State College of Liberal Arts, 1 October 2014. ^ Toronto schools reject tie-up with China’s Confucius Institute, South China Morning Post, 30 October 2014. ^ German University Abandons Plans for Confucius Institute, Inside Higher Ed, 8 June 2015. ^ Worldwide campaign launched against Confucius Institutes, The Sunday Herald, 24 April 2015. ^ a b Cohen, Hagar. "Australian universities the latest battleground in Chinese soft power offensive". ABC Australia. Retrieved 13 October 2016. ^ 'Has BCIT sold out to Chinese propaganda?' Archived 22 August 2012 at the Wayback Machine, The Vancouver Sun, 2 April 2008. ^ China's Confucius Institutes: Rectification of Statues, The Economist, 20 January 2011. ^ Guttenplan, D. D. (4 March 2012). "Critics Worry About Influence of Chinese Institutes on U.S. Campuses". The New York Times. ^ Ulara Nakagawa. Confucius Controversy, The Diplomat. ^ D. D. Guttenplan (2012), Critics Worry About Influence of Chinese Institutes on U.S. Campuses, The New York Times, 4 March 2012. ^ "Statement on the Confucius Institute at the University of Chicago". UChicago News. University of Chicago. 25 September 2014. Retrieved 25 September 2014. ^ "Our Partnerships with Foreign Governments: The Case of Confucius Institutes". American Association of University Professors. June 2014. Retrieved 21 June 2014. ^ US professors urge Western universities to end ties to China's Confucius Institutes By Peter Foster, Washington. The Telegraph (London), 18 June 2014. ^ US Professors Troubled by Confucius Institutes Carolyn Thompson. 24 June 2014. ^ China's Soft-Power Fail, Bloomberg View, 7 October 2014. ^ Beijing's Propaganda Lessons: Confucius Institute officials are agents of Chinese censorship, The Wall Street Journal, 7 August 2014. ^ Redden, Elizabeth. "Chicago to Close Confucius Institute". Inside Higher Ed. Retrieved 28 September 2014. ^ Hard times for China's soft power, Business Spectator, 29 September 2014. ^ Belkin, Douglas (1 October 2014). "Penn State Latest School to Drop China's Confucius Institute". The Wall Street Journal. Retrieved 3 October 2014. ^ Subcommittee Hearing: Is Academic Freedom Threatened by China's Influence on U.S. Universities?, House Committee on Foreign Affairs, 4 December 2014. ^ China's influence threatens American universities, experts say, Los Angeles Times, 4 December 2014. ^ China Says It’s 'Never Interfered With U.S. Academic Freedom', Chinarealtime, The Wall Street Journal, 5 December 2014. ^ Elizabeth Redden (April 9, 2018). "Closing a Confucius Institute, at Congressmen's Request". Retrieved April 9, 2018. ^ "Leiden University to end agreement with Confucius Institute". February 19, 2019. Pella, John & Erik Ringmar, "Kongzi and his institutes," History of International Relations Open Textbook Project, Cambridge: Open Book, forthcoming. Sahlins on Confucius Institutes, four-part lecture by Marshall Sahlins, PricklyParadigmTV, YouTube. Confucius institute: The hard side of China's soft power, Xu Lin interview, BBC News, 21 December 2014.